The support of friends like you is what makes the magic of Goodspeed possible. We can’t do it without you – so thank you for your generosity. 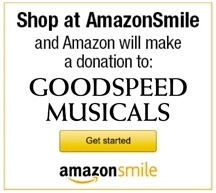 Below you can find information on the various ways to support Goodspeed and our programs. Please consider providing general operating support by becoming a member, or donating to a specific area that meets your interests. If you have any questions, our Development team is happy to help and can be reached at 860.873.8664, x317. We invite you to become a Member and to be part of this incredible community. As a member you will enjoy many exclusive benefits including members-only ticket exchanges, waived fees on ticket purchases, access to member events, trip and tours and so much more. You are a very important part of the Goodspeed community and we want to you to enjoy these unique perks and benefits at both The Goodspeed and The Terris Theatres. At Goodspeed, we are passionate about making musicals and providing opportunities for theatre artists to create musical theatre works of art. You can help us promote, develop, and produce musicals, and encourage the work of these writers. Musical theatre creates community, provides connection with our fellow humans, and reminds us of how much more we are truly capable of - and you can make that possible. Your donation will support fresh voices in our industry as they create exciting new musicals here at Goodspeed. Music Theatre Institute Institute - an ever-growing education and training initiative that offers a wide array of workshops and intensives for students, young professionals, and individuals looking to continue their education in the arts. Arts Education Collaboration – annually engages over 800 young and underserved students in the creative process of musical theatre, offering workshops, performance tickets, lunch and transportation at no cost to students or schools. Apprenticeship Program - assists undergraduate and graduate students in gaining experience in technical, production, company management, and administrative musical theatre operations. Kids’ Nights - offers young people an opportunity to see the magic of musical theatre at a discounted rate and a literary component to enrich their experience. Your support of Goodspeed’s Education Programs will allow us to engage young people in the creative process of musical theatre, and help make the art form accessible to the next generation of theatergoers. Goodspeed offers approximately two performances each year that are designated as Sensory-Friendly and provide the opportunity for individuals with autism or other sensory processing issues and their families to enjoy a day of live theatre together. Tickets are offered at a heavily discounted rate and production and front-of-house accommodations are made to ensure that there is no financial or social burden to attend. Your gift will ensure that we can continue to make the theatre accessible to everyone. You can ensure that the beauty of the historic Goodspeed Opera House will be shared by generations to come. Your donation to the Building Preservation Fund will help keep this majestic building in tip-top shape, maintaining its unique historical character. Whenever you visit Goodspeed and see the iconic theatre, you will know that its splendor is thanks to your support! After nearly five decades at the helm, Michael Price left Goodspeed as a fiscally sound and artistically thriving institution. The Michael Price Endowment Fund was established to recognize and institutionalize his nearly half-century of leadership of our theatre. The fund supports Goodspeed’s core mission by helping to produce one mainstage musical each season. Please join us in looking forward to many more years of theatrical magic by investing in Goodspeed’s future and generously supporting The Michael Price Endowment Fund at Goodspeed Musicals. The show must go on, but behind the scenes at Goodspeed we've had some major flood damage to some of our buildings. Since insurance may not cover all the work needed to ensure the studio is safe and functioning again, your contributions will help us to restore the Tenney Rehearsal Studio. Are you looking to dedicate a gift in honor/memory of someone? Tribute gifts can be made to any of the non-membership funds above, or can be designated to where the funds are needed most. Click Donate Now to make your gift and provide information about your honoree.